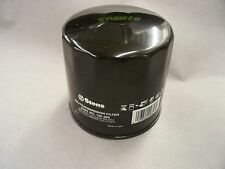 This is a Toro Wheel Horse 520H Transmission Filter. 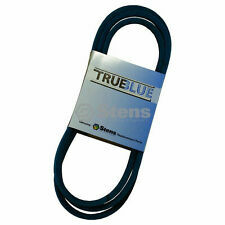 Package of 2 1/4-28 threads Wheel Horse Automatic Transmission Ball Joint. Condition is New. Shipped with USPS First Class Package. Wheel Horse Transmission 103636 Transmission Case Right Right Side Automatic. Condition is New. Shipped with USPS Priority Mail Large Flat Rate Box. Wheel Horse 12 Automatic Tractor Information Complete tractor is not available for sale. Local pickup is available. Engine - Kohler K301S - Spec# 47421d - 12HP. Serial # - 943381. 1969 trailblazer 5 ,5068 transmission assy 4-2635 toro. PART # 111203. USED WHEEL HORSE TRANSMISSION CASE. Toro Wheel Horse 7446, 101703. Up for sale is this 8-speed transmission removed from a Wheel Horse 414-8. Transmission is in great working condition with no problems. 1 and 1/8" axles. Fits a wide variety of Toro/Wheel Horse applications. This is a Wheel Horse 1995 Model 73362 312-8 Right Transmission Case. This is a used part. Part No. 111200-01. Part listed replaces part numbers and fits machines listed, however there can be other part numbers depending on when the machine was built. PARTING OUT TORO WHEEL HORSE HXL 14-38 MODEL 71193 SERIAL 6906727 ENGINE BRIGGS 14.5 OHV QUITE PLUS MODEL 28N707 TYPE 0131-01 CODE 960411ZD TRANSMISSION HYDRO GEAR 94-6775 SERIAL 6099T3095. TRANSMISSION COVER. Check out all My pictures. LOCAL PICKUP AT OUR LOCATION (Ashland,Ohio) Permitted. Wheel Horse Work Horse GT Eaton Hydro Transmission Assembly Complete, Good Shape and Removed in working order. Ordering By Mistake. Not knowing the part you needed. Bin# Floor. PART # 111200. USED WHEEL HORSE TRANSMISSION CASE. Item condition: Good working condition. Stamped 1100 062 CCW. John Deere F910 F911 F912 F925 F935 F932 Front Mow Tractor Adjustable Seat Mount USD 29.99. John Deere 316 w/Onan 330 318 Tractor Hydraulic Line - Power Steering Outlet USD 9.99. Wheel Horse 8HP 8-Speed Tractor Information Complete tractor is not available for sale. Engine - Tecumseh HH100 - 115097D Serial 2335E - 10HP (not original engine). Local pickup is available. Serial # - 920416. This is the belt that runs from the engine to the transmission. The exact model numbers are 73363 73429 73449 73450 73428 73402. Part No. 93-9808. Toro: 7473, 93-9808. Part listed replaces part numbers and fits machines listed, however there can be other part numbers depending on when the machine was built. Wheel Horse D-180 Automatic Tractor Information Complete tractor is not available for sale. Local pickup is available. Engine - Kohler K482S - Spec#35222b - 18HP. Serial # - 134255. Used Wheel Horse 520-H Garden Tractor-Hydro Transmission Gear SET, Removed in working order, Cleaned, Good Shape With Minor Wear Shown, Check out all My pictures. LOCAL PICKUP AT OUR LOCATION (Ashland,Ohio) Permitted. Fits the following models. look at the pictures this is a double D center hole. Discontinued Part: 6671. 6671 Pulley. Part Number = 6671. R-26 Rear Engine Rider. 5056 Transmission. 26 Matches Found. Used Wheel Horse 520-H Garden Tractor-Transmission Case Assembly, Removed in working order, Cleaned, Good Shape With Minor Wear Shown, Check out all My pictures. Bin #Parts Room Floor. LOCAL PICKUP AT OUR LOCATION (Ashland,Ohio) Permitted. PART # 7492. -WHEEL HORSE RAIDER 10 1-6041. -TRANSMISSION PULLEY. -LOCAL PICKUP IS AVAILABLE IF NEEDED DURING OUR HOURS OF OPERATION. Removed in working order, Cleaned and ready to use. Check out all My pictures. Not knowing the part you needed. This is a Wheel Horse 1995 Model 73362 312-8 Transmission Pinion Shaft Gear. This is a used part. 101626 101625 102974. (9A2-boxB). Part listed replaces part numbers and fits machines listed, however there can be other part numbers depending on when the machine was built. 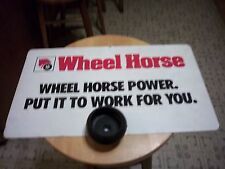 This is a Wheel Horse 520H Tractor Transmission Idler Pulley. This is a used part (24D3). Part listed replaces part numbers and fits machines listed, however there can be other part numbers depending on when the machine was built. Transaxle is in good used condition. Fits Wheel Horse Models. OEM Part Number Save BIG on Quality Used OEM Parts! 72200 72201 72202 72211 72212. Fits the following models. 111204 CASE TRANS RH. Transmission 8-Speed. 416-H Garden Tractor. 312-H Garden Tractor. 310-8 Garden Tractor. 418-8 Garden Tractor. 417-8 Garden Tractor. This is a Wheel Horse 1995 Model 73362 312-8 Left Transmission Case. This is a used part. Part No. 95-5143-01 111198. Part listed replaces part numbers and fits machines listed, however there can be other part numbers depending on when the machine was built. PARTING OUT TORO WHEEL HORSE HXL 14-38 MODEL 71193 SERIAL 6906727 ENGINE BRIGGS 14.5 OHV QUITE PLUS MODEL 28N707 TYPE 0131-01 CODE 960411ZD TRANSMISSION HYDRO GEAR 94-6775 SERIAL 6099T3095. TRANSMISSION FILTER HOUSING. PARTING OUT TORO WHEEL HORSE HXL 14-38 MODEL 71193 SERIAL 6906727 ENGINE BRIGGS 14.5 OHV QUITE PLUS MODEL 28N707 TYPE 0131-01 CODE 960411ZD TRANSMISSION HYDRO GEAR 94-6775 SERIAL 6099T3095. SMALL 5 PISTON PUMP TRANSMISSION. This is a Wheel Horse 1995 Model 73362 312-8 Transmission Gear. This is a used part. (9A2-boxB). Part listed replaces part numbers and fits machines listed, however there can be other part numbers depending on when the machine was built. NOS Wheel Horse Toro Part 7204 Transmission Gear. This is a Wheel Horse 1995 Model 73362 312-8 Transmission Gear Assembly. This is a used part. Part No. 7204. (9A2-boxB). Part listed replaces part numbers and fits machines listed, however there can be other part numbers depending on when the machine was built. THE ITEM YOU RECEIVE MAY NOT BE 100% OF THE ONE REPRESENTED ABOVE. PARTING OUT TORO WHEEL HORSE HXL 14-38 MODEL 71193 SERIAL 6906727 ENGINE BRIGGS 14.5 OHV QUITE PLUS MODEL 28N707 TYPE 0131-01 CODE 960411ZD TRANSMISSION HYDRO GEAR 94-6775 SERIAL 6099T3095. TRANSMISSION LARGE 7 PISTON PUMP TRANSMISSION. New Oem wheel horse pulley. This is a Toro Wheel Horse Model 312-8 Left Transmission Case. Part No. 95514301. Model number was 73429 and the serial number was 210000211. Used part, tractor had 182 hours on it. ( barn- 10A-floor ). Here we have the 8 speed transmission small shaft/gear cluster from a Wheel Horse 312-8 and will fit many other Wheel Horse machines. Used Toro Wheel Horse Transmission Gear. Part #: 7204. Contains two knobs and the screw. The transmission will need oil put into it before using. This is a Toro Wheel Horse Model 312-8 8 Speed Transmission Gear Assembly. Part No. 102974. Model number was 73429 and the serial number was 210000211. Used part, tractor had 182 hours on it. ( barn- 10A3A"box inside" ).